Morning, night, or sometime between, you should be able to rely on your home or business’ shower. 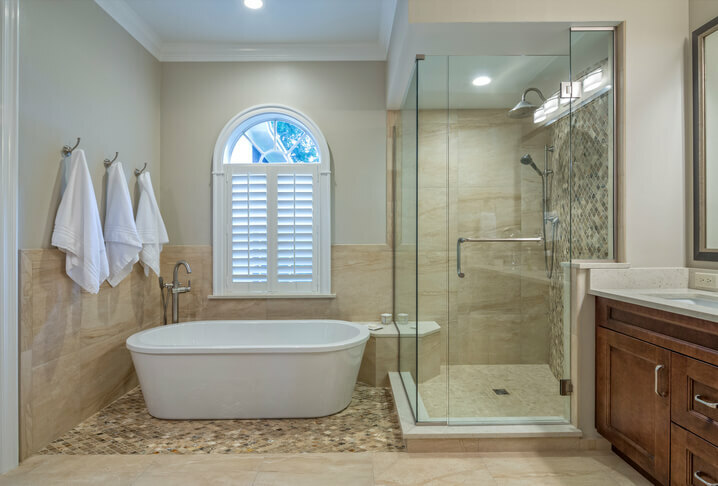 With so much use day after day, even the most well-kept shower can develop an issue that needs the help of a professional plumbing repair company. When this happens, call Sunshine Plumbing and Gas for all-encompassing shower repair and maintenance services that can ensure your shower functions in optimal condition. When your shower springs a leak or can’t provide the strong stream of hot water you want after a long day, count on us to quickly resolve any issue! We believe in using only the highest-grade fixtures and materials every time. Our job isn’t done until you’re completely satisfied. Schedule a plumbing repair with experts in the plumbing industry — contact us today! What Are Common Causes Of Shower Issues? Because of daily use, among other factors, there are a number of problems that can develop within the plumbing components of your shower, including the following issues. Rattling pipes can have several different causes, but these are the most common. Though a loose pipe is one of the easier shower repairs, it does require opening up a wall panel for access. A pipe can become loose if it wasn’t secured properly during installation or if the water pressure in the shower is too high. High water pressure will cause pipes to rattle while the water is running. Sunshine Plumbing and Gas can install a pressure regulator to reduce the pressure and strain on your home’s plumbing. Soaking your feet in warm water can be relaxing — unless it happens while you’re showering. A clogged drain can be caused by hard water buildup, too many stray hairs, and other reasons. Many clogs can be cleared by flushing the drain with a mixture of baking soda and vinegar or hot water, but more stubborn clogs may require a plunger to dislodge. If neither method works, contact Sunshine Plumbing and Gas for sink and drain repairs. Hard water is a common cause of low water pressure in showers. Limescale and other types of buildup can be cleaned from the showerhead by soaking it in white vinegar or a descaling product. A great solution to this problem is water softening — contact us for more information. A few drops falling from the showerhead or bathtub faucet after shutting the water off is normal — a trickle or stream isn’t. If possible, remove the showerhead or faucet and check the washer inside the fixture. Most washers are rubber- or silicone-based and lose the ability to form a tight seal they age and wear out. The more water a washer allows through, the greater the chance that the valve seat will corrode. When it reaches that point, contact us to repair the plumbing leak. How Can I Avoid Shower Problems? Avoid the stress that comes with common plumbing issues by following these three easy shower maintenance tips. Instead of rushing out of the shower, take a minute or two and check for leaks after shutting off the faucet. Water shouldn’t come from any shower fixture, even as a slow trickle. To manage the balance of water heat and pressure throughout the day, wait at least 10 minutes between showers. This also reduces stress unnecessarily placed on your home’s plumbing. A drain screen prevents hair from washing down the drain as you shower, which reduces the likelihood of clogged drains. Also, minimize the number of bath oils and other bath products used in the shower. Though these products help you wash, moisturize, and condition, they cling to pipes and cause blockages.